We’re extremely happy to announce that we finished working on Russian language modification for Life is Strange: Before the Storm! 2) Launch the game and enjoy! 3) In case there were any previously installed modifications, you need to delete them, prior to installing this modification (see To Delete). 1) This mod has only been tested on the Steam version. Compatibility with any other game versions is not guaranteed. 2) This Mod may misfunction after game updates. In this case you should wait for the mod to update as well. 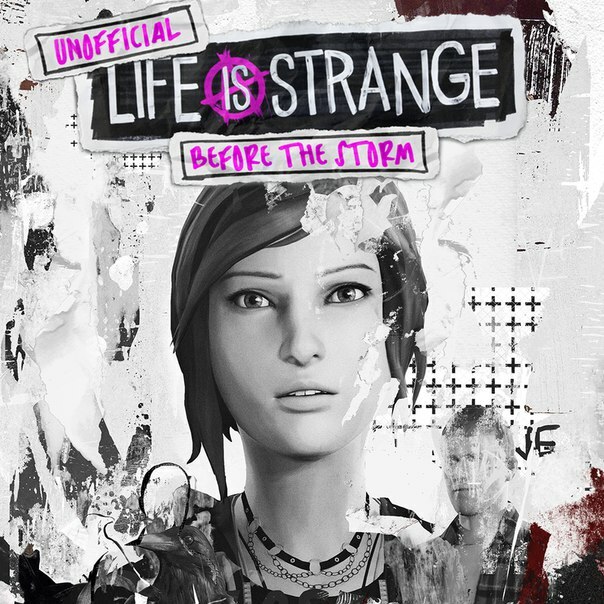 3) Life is Strange: Before the Storm © 2017 Square Enix Ltd. LIFE IS STRANGE, LIFE IS STRANGE: BEFORE THE STORM, the Life is Strange logo, and the Life is Strange: Before the Storm logo are registered trademarks or trademarks of Square Enix Ltd. SQUARE ENIX and the Square Enix logo are registered trademarks or trademarks of Square Enix Holdings Co., Ltd. All other trademarks are property of their respective owners. 4) Work on the modification of Life is Strange: Before the Storm, as well as the use of Life is Strange, and Life is Strange: Before the Storm logos is based on a license agreement. 5) This website and/or software are not operated by Square Enix and Square Enix accepts no responsibility or liability for the content available or views expressed hereon or herein, which are the sole responsibility of the Tolma4 Team. 6) Русификатор для Before the Storm от Tolma4 Team is an unofficial modification of Life is Strange: Before the Storm. Square Enix has not reviewed or approved this modification for quality purposes, nor does Square Enix endorse or provide support for this modification. By clicking “Download File”, you acknowledge that you have read and accepted the terms of EULA agreement.